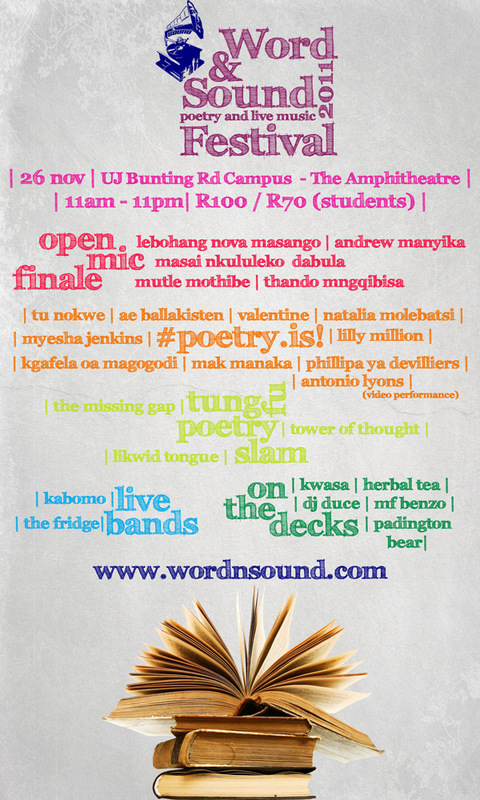 The Word N Sound calendar culminates in a Poetry Festival that offers a Spoken Word feast every October. 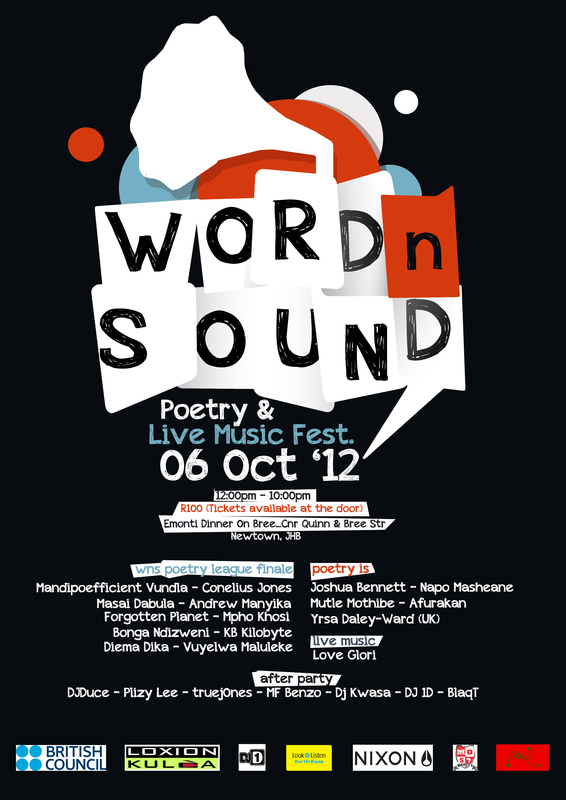 The festival consists of the Word N Sound Poetry League Finale and PoetryIs, which plays host to some of the world’s best poets. Buddy Wakefield, Lebo Mashile, Dean Atta (UK), TJ Dema (Botswana), Koleka Putuma, Andrew Manyika, Afurakan, Mutle Mothibe, Andrew Manyika (Zimbabwe), Conelius Jones, Mandi Poefficient Vundla, Masai Dabula, Mutinta Bbenkele, Elysium Garcia, Xongani Maluleka, Bonga Ndziweni, Lwazi Mthembu, Mpho Khosi, Ayob Vania, Makhosazana Xaba, Adrian Van Wyk, Bafentse Ntlokoa, Nkosinathi Gaar, Zewande BK Bhengu, Carlos NoLIFE Ncube, Xabiso Vili, and Thando Bhuthelezi. Natalia Molebatsi, Mutle Mothibe, Nova Masango, Bongeziwe Mabandla, Mandi Poefficient Vundla, NoLIFE; Elysium Garcia, Mapule Mohulatsi, Lucas Pilgrim Serei, Catherine Labiran, Conelius Jones, Harry Barker, Dikson, Khethi.